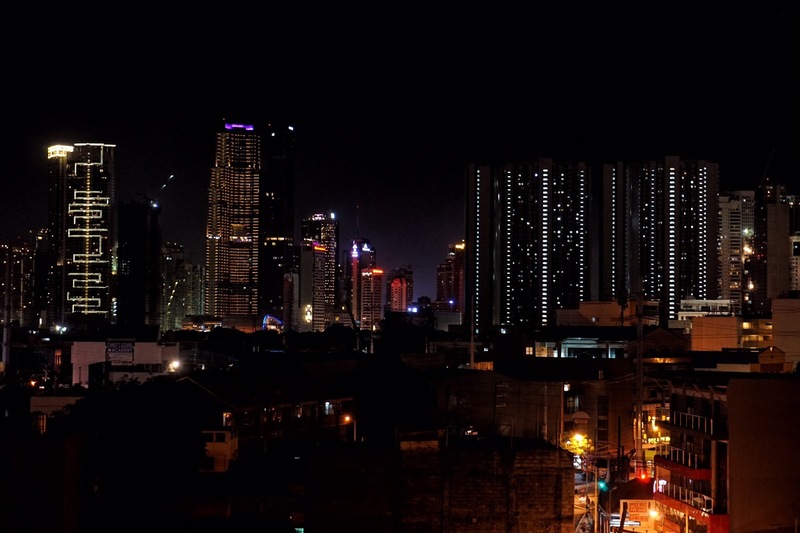 I hardly visit Makati on a weeknight especially knowing how traffic could be such a nightmare in the city. 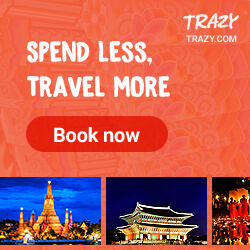 But it is so hard to resist good food. And due to weak will power, I found myself traveling from Eastwood to Roxas Boulevard and finally to Kamagong, Makati to indulge in Chef Kel Zaguirre's creations at this newly opened restaurant Eat 9707. Located at the roofdeck of 9707 Kamagong, Eat 9707 offers comfort food dishes that combines L.A. street food and Japanese ingredients. The al fresco dining area makes it a lovely place to chill after work while indulging in some of Taft's famous Syfu's Barbecue. But allow me to start with the scrumptious appetizers we had that night. 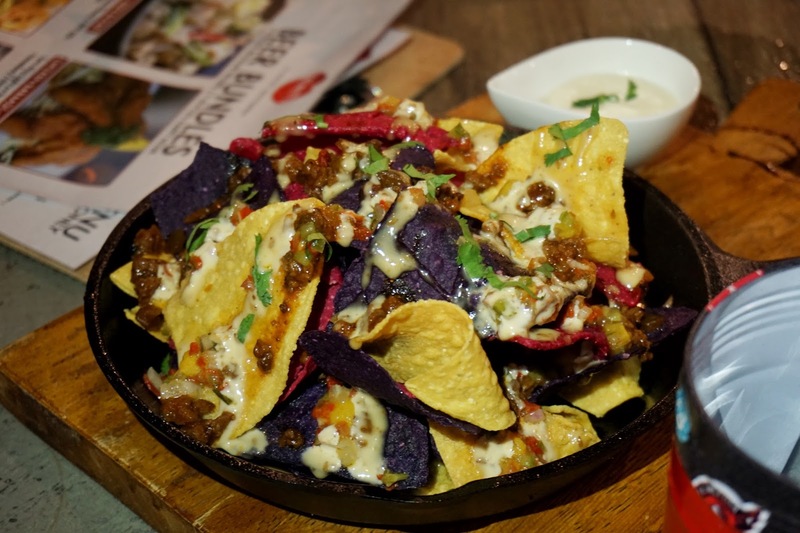 While waiting for the rest to arrive, we were given this colorful skillet of Meat Sauce Nachos (PHP250) topped with bull dog picadillo, mango pico de gallo, sesame dressing and sour cream on the side. When Krizzie Syfu mentioned that their take on their nachos would remind you of spaghetti, she wasn't kidding at all. The meaty and slight sweet taste of the dressing made me think of my mom's classic spaghetti. But what I loved most about this dish is that the tri colored chips remained crisp even after waiting for almost half an hour. 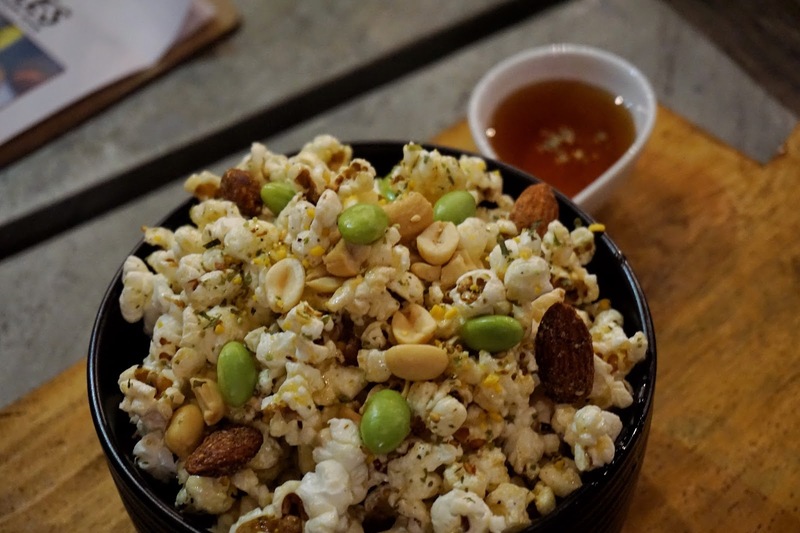 Popcorn lovers would go crazy with Truffle Popcorn & Nuts (PHP200). This freshly popped snack tossed in truffle butter and truffle honey then topped with the Japanese favorite edamame and some nuts is the perfect snack to munch on when chilling with friends. Though it could be a bit sticky or messy to eat, the delectable sweet taste, mouthwatering aroma and addicting texture will keep you wanting more. 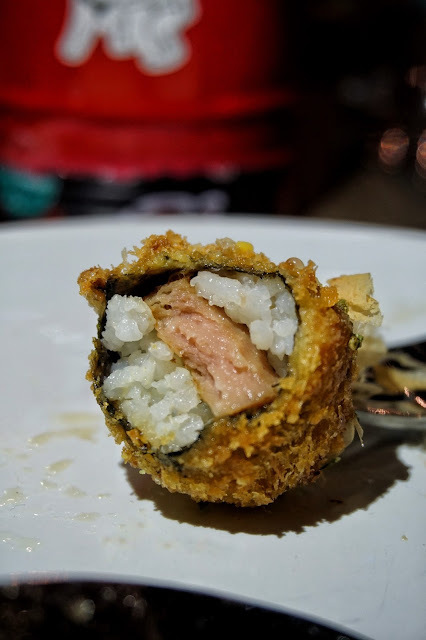 Another quick snack we had was Spam Musubi Bites (PHP220) which I first thought as croquettes. 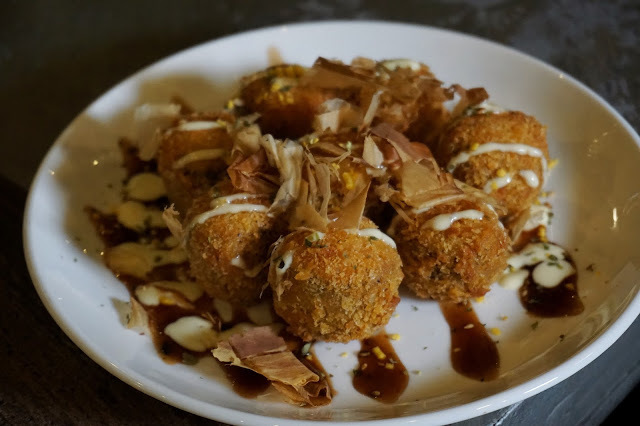 The perfectly battered rice balls stuffed with spam and enveloped with nori was simple yet hits the spot. This is something you would love to order when with kids or anyone who loves spam! 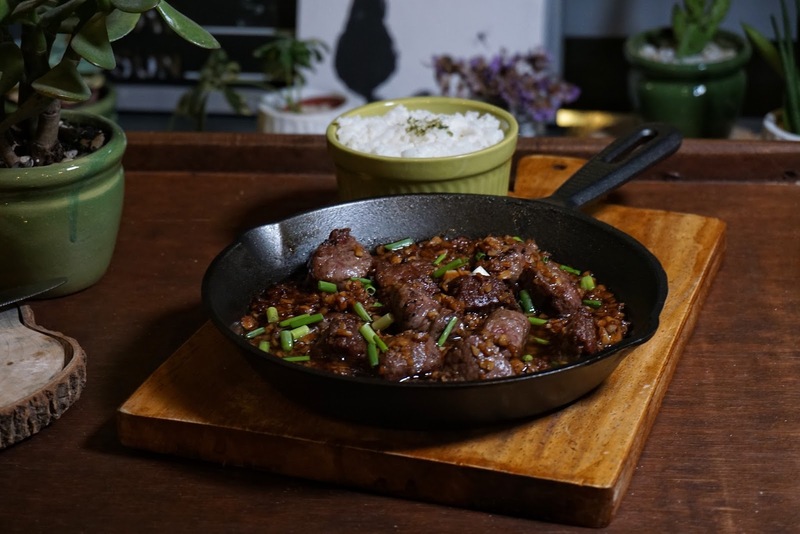 For mains, we started with Salpicado (PHP400) which is a skillet of tenderloin cubes with garlic confit and cooked with Kikkoman, red wine and Worcestershire. Though it was not as garlicky as I would have loved it to be, its super tender texture won me over. It was so soft, you don't even have to chew it! I also enjoyed STCO (PHP300) which is short for Spam, Tonkatsu, Curry and Omurice. 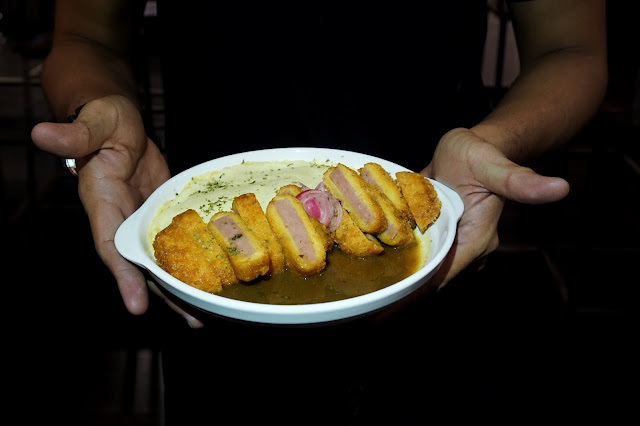 Thick slices of spam were beautifully coated with batter giving it a tonkatsu character. The creamy egg on top of the rice and curry sauce gave the dish a more Japanese edge to it. If you're out with friends and are all on a tight budget, do take advantage of Booky App's BOGO deal on Syfu's Katsu Burger (PHP390). 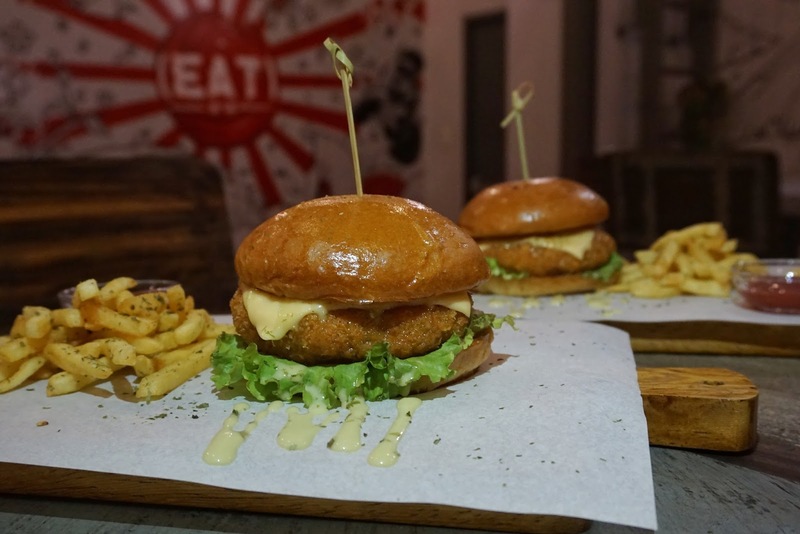 This burger with fried katsu crusted Philippine wagyu patty and cheddar sandwiched by brioche buns with sriracha aioli and fries on the side is a must try for burger lovers. What I loved best from this dish is that despite being fried, the katsu was not that oily. 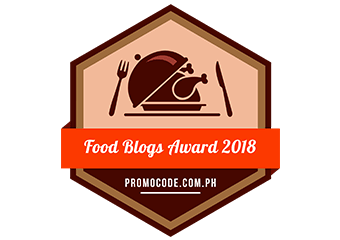 Syfu is a popular name for the older (foodie) millennials. 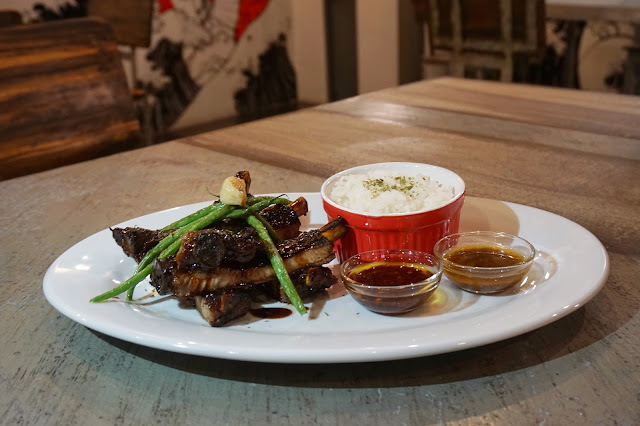 Before McDonald's and other food chains dominate the area surrounding the university, there was a humble food shack called Syfu that offers mouthwatering barbecue that kept students and even people from other parts of Manila going back for more. Those days may be long gone but definitely not forgotten. And to foodies' delight, Mama Syfu's famous barbecue is back and available at Eat 9707 as Syfu's BBQ Platter (PHP250, 5 sticks). 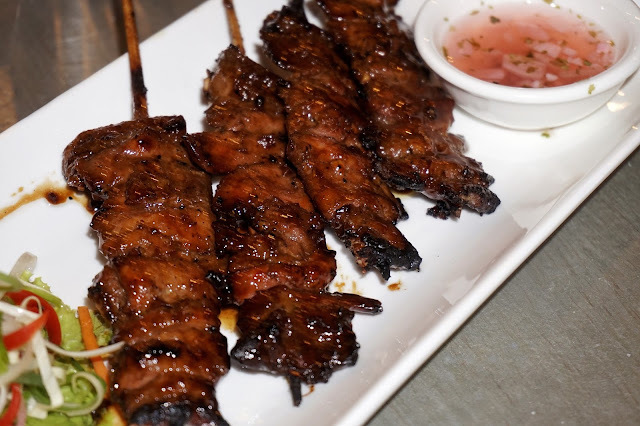 I have to admit, I was overwhelmed by the rich taste of the pork barbecue. Though it is something Filipinos enjoy, I had a hard time appreciating its bold sweet and salty taste... until I dipped it in vinegar. The contrast of flavors gave my taste buds a whole different experience and made me want more (with rice). 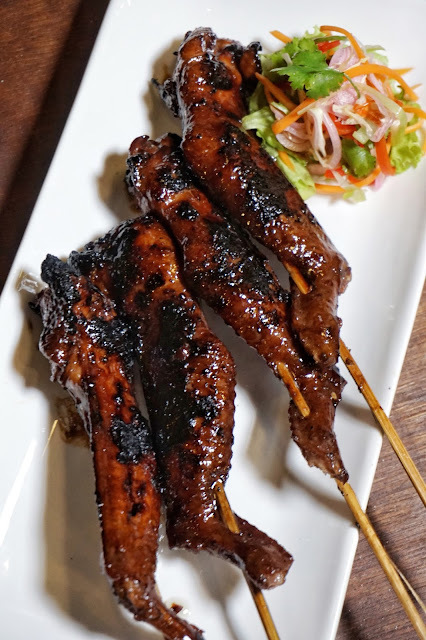 For those looking for something heavier, there are also other off the grill classics such as Chicken (PHP400), Ribs (PHP430) and Syfu's Chicken Wings (PHP250, 4 sticks). I enjoyed ribs best which also had that lovely sweet yet savory flavor. It was also very tender and you can easily remove the meat off the bones. It also comes with ginger sauce and chili garlic if you want a different flavor to kick in. But I liked it best as is. To cap our filling meal, we had Banana Tempura (PHP150), Banana Rum Cake (PHP200) and Azuki-bean Waffle Sandwich (PHP220). 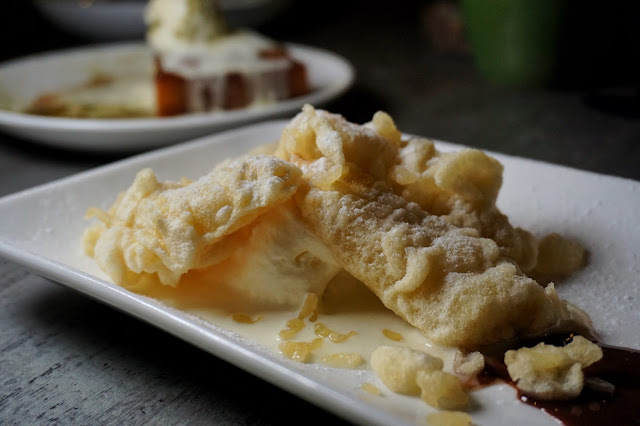 Banana Tempura was your usual banana fritters but the dark chocolate-espresso sauce served on the side gave it a distinct deep flavor. 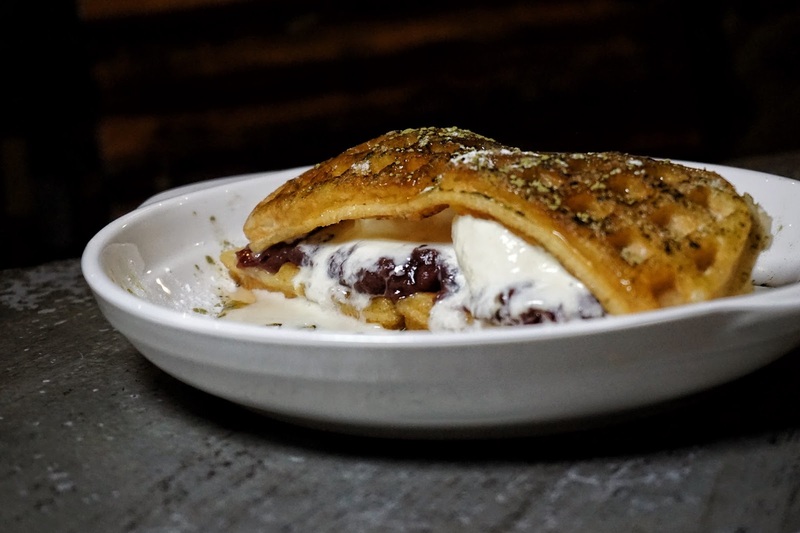 I loved the Azuki-bean Waffle Sandwich. It had the right level of sweetness and the contrast of the rather rough beans and smooth vanilla ice cream was delightful. It would have been a lot yummier if the waffle was crispier. Or perhaps it was. After all, it took us about 15 minutes taking photos of this dessert before eating it. My other favorite is Eat 9707's Banana Rum Cake. 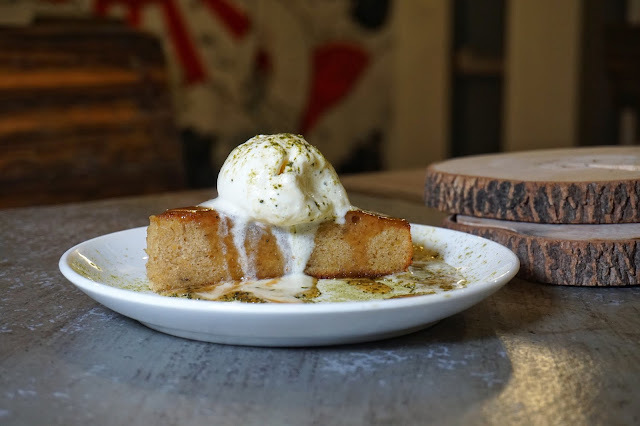 The dense banana cake topped with vanilla ice cream was heavenly. It could be a bit heavy though if enjoyed alone. For drinks, I tried High Ball (PHP180) and Maria Clara (PHP180). I fell in love with Maria Clara with the bottle alone that I didn't notice that it has 18% alcohol. No wonder I felt hot after drinking half of the bottle. Its sweet taste could definitely fool you so be careful if you have low tolerance. Overall, it was a lovely dinner with fantastic company. I'll definitely brave Makati traffic again to try Eat 9707's other dishes and to have more of its delectable desserts. 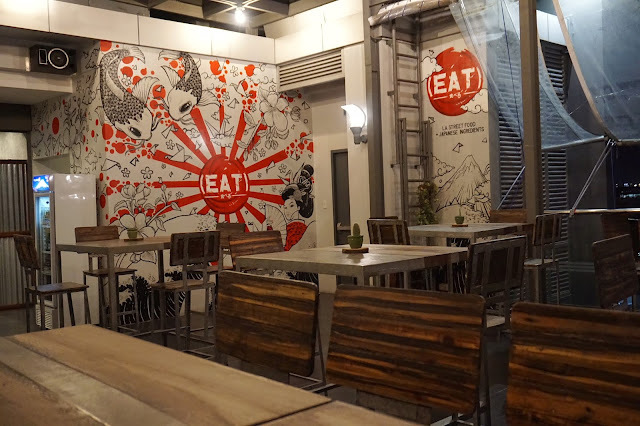 Eat 9707 is located at 6th Floor, 9707 Kamagong Street, Makati City.